KNOXVILLE, TN--(Marketwired - Jun 12, 2013) - Dr. Stephen Boyce is a weight loss surgeon who has created a multivitamin specifically tailored for the needs of the pre and post-bariatric surgery patient. Patients who undergo weight loss surgery procedures like the Lap-Band® can develop serious nutritional deficiencies, particularly in the months immediately following their surgery. With over 20 years of bariatric surgery experience, Dr. Boyce understands the unique dietary requirements of his patients. In response, Dr. Boyce has designed his line of Bari Life Bariatric Supplements -- bariatric vitamins that are created with pharmaceutical grade, bioavailable compounds in the United States. Dr. Boyce notes that a patient's digestive system is particularly sensitive after bariatric surgery. Immediately following surgery, Dr. Boyce recommends that supplements make up a large portion of a patient's nutrition. Because vitamin and mineral deficiencies can lead to serious medical conditions such as anemia, fatigue, osteoporosis, hair loss, weakness, paralysis, loss of vision, and more, Dr. Boyce considers nutritional supplements vital to a healthy recovery. Bari Life Powder Multivitamins are powder supplements that were designed to be easier to swallow than traditional pills or capsules and not as harsh on the digestive tract. Patients can mix the powder into water or add it to a protein shake to receive all their necessary daily vitamins and minerals. Dr. Boyce prescribes the powder for the first four weeks after surgery. After four weeks, Dr. Boyce gives his patients the option of remaining on the powder or switching to a tablet. Bari Life Multivitamins are the only bariatric supplements that meet or exceed the daily recommendation for vitamin and mineral supplementation by the American Society for Metabolic and Bariatric Surgery (ASMBS) in one convenient bottle. Bari Life Bariatric Supplements, partnered with Dr. Boyce's Knoxville bariatric surgery practice, also offers protein supplements for weight loss surgery patients through their website at the lowest price available on the Internet. Dr. Boyce says protein supplements are another essential component of bariatric health. He suggests patients receive 75g-100g of protein daily. The protein supplements sold by Bari Life help patients achieve the goal of a high-protein, low carb, and low fat diet. Dr. Stephen Boyce is a bariatric surgeon who developed Bari Life Bariatric Supplements. Bari Life Multivitamins are the only bariatric supplements that meet or exceed the recommendations of the ASMBS, OS, and the AACE in one convenient bottle. Dr. Boyce is a graduate of Texas A&M University and earned his medical degree at the University of Texas Southwestern Medical School. 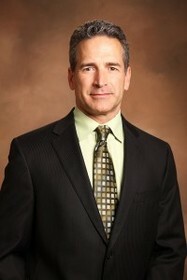 He began his practice in Knoxville and went on to develop New Life Center for Bariatric Surgery. During his tenure as a surgeon, he has completed thousands of weight loss surgical procedures with special training in advanced laparoscopic procedures. Having also completed a Masters Certification in Bariatric Surgery, Dr. Boyce is the most experienced weight loss surgeon in East Tennessee. The New Life Center is also the only practice in East Tennessee staffed with an in-house multidisciplinary professional bariatric team.